Managing fleet is undoubtedly a burdensome task but with a well-organized fleet management system, the efficiency of the fleet can be improved and ideal services to customers can be rendered. Tracking your fleet anywhere from the world and having a complete control over them are the essential aspects of avoiding driver behavioral issues such as misuse of fleet and rash driving. Delivering a great user experience, ensuring safety and security of the customers and monitoring fuel usage are some of the major concerns that help in improving the fleet business. The Fleet Rollr of mi-xlab is a vehicle telematics solution that aids organizations to get a complete control over their fleet operations. The Noida-based company Motherson Invenzen Xlab (mi-xlab), founded in 2014, provides complete and customizable fleet management solution with the Fleet Rollr, that is built to improve fleet efficiency, reduce costs and deliver impeccable service to customers. It is designed for personal vehicles and also for small and large fleet owners. The Fleet Rollr helps organizations stay connected to their fleet as it tracks all their assets on the move. It keeps tabs on fleet with real-time GPS tracking and sends alerts concerning vehicles that are moving out of geo-fences. Companies can also access and analyze the complete trip data by replaying vehicle routes to ensure that they are not used for unauthorized trips. Organizations expect great user experience and quality products from vehicle tracking solution providers. The Fleet Rollr delivers a significant user experience to customers by quickly responding to the customer requests by updating them with arrival notifications through the deployment of the AVL (Automatic Vehicle Locator) devices.While trips are completed faster with the optimal routing and efficient dispatching capabilities of the Fleet Rollr, it constantly monitors vehicle conditions to maintain peak performance resulting in low maintenance costs.The Rollr devices are OEM grade telematics devices available in IP54, IP67 or IP69 ratings. Enterprises can choose from OBD (Onboard diagnostics) or non-OBD based devices for different types of vehicles present in their fleet. Mixlab renders manufacturing support and engineering designs for companies that desire to create specific products but do not have an internal team for executing their vision. The company works as an extended team by letting its customers focus on the product specifications while it builds the solution for them. 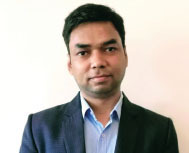 “As a complete solutions provider – mi-xlab’s Rollr is uniquely positioned in this segment as we design our own hardware, embedded software, cloud and applications, through which we are able to provide the best offering to our customers,” affirms Amit Upadhyay, CTO, Rollr. The key strength of mi-xlab is the team’s distinguished experience across the board, enabling them to grow beyond vehicle telematics and develop cutting-edge products in new verticals. Currently, mi-xlab is actively engaged with some of the key OEM customers and the big names in the auto industry. While the company’s system integrator offering is fully developed resulting in the provision of custom and open platform for its customers, they are planning to add new and variety of hardware to their portfolio.